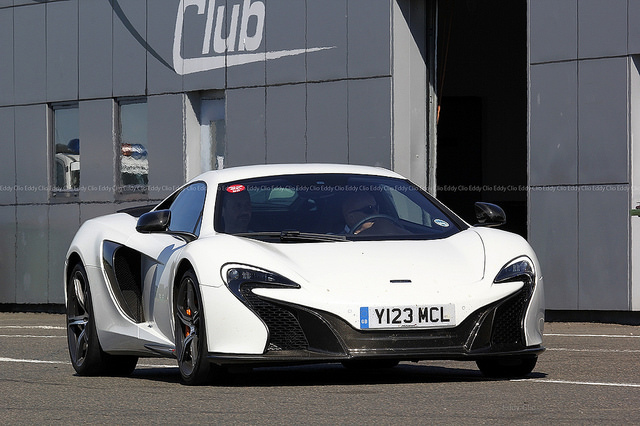 The McLaren 650S is a gorgeous supercar with loads of power under the hood. The engine is a 641 horsepower 3.8 liter twin-turbo beast, mated to a seven speed dual-clutch automatic. This land rocket can hit 60 mph in less than 3 seconds and has a top speed of 205 mph. The interior is awash in microsuede and carbon fiber, something to be expected from a high end supercar. The 650S has various suspension and powertrain settings, with normal, sport, and track available to customize your ride feel. The stability control system has a dynamic mode, allowing you to fine tune when it activates. For those brave or foolhardy enough the stability control can be deactivated all together, allowing you to drift around corners if you’re skilled enough to not crash.